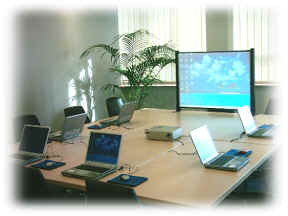 SAP offers two courses in VC and instruction workshops for the SSC. So, where does a SAP VC or SSC user go? Where do you learn Advanced VC techniques and Best Practices? eSpline comes to you with training at your facility or after the CWG Conferences. Where do you find SSC Training? eSpline. If your people were not trained in the beginning, you are not likely getting the performance out of each person or from your SAP VC that you should. It's not the modeler's fault. The SAP VC & SSC provides a breadth in configuration software that is unparalleled in the market. As you know it is a focal point for manufacturing, planning, and product definition. You need to make sure your modelers, engineers, knowledge workers are proficient and current on techniques. eSpline was organized to provide SAP customers with professional and knowledgeable consultants to help them train and implement SAP VC or SSC. Our trainers are experienced VC modelers and understand complex products. We have SSC project experience and can offer your company workshops where your students have modeling excercises, so they retain what they have heard. We are one of a few premier configurator specific organizations that have consultants that have working knowledge of all the available SAP configurator applications. We now offer SAP Solution Sales Configurator Training. We are also working with a partner on an eLearning VC offering for companies and individuals to learn on their own time. The standard SAP VC training is a good beginning, however, your modeling team needs to be aware of what can be done with the Configuration Engine. Sample Copy of Training Materials... More Information on SSC Training Workshops... Contact Us if you have quesions.